We have multiple classes to fit your needs! Check out our affiliate classes HERE. This is your future. Learn from the best. Our online AALAS certification preparatory courses are designed to support your successful completion of the AALAS Certification Exams. Classes are lead by a live instructor and have an 88% success rate for passing the actual AALAS Certification Exam because we reinforce study techniques and practices to ensure student preparedness prior to sitting for the exam. Live courses are offered throughout the year. We have the experience to ensure your success! Our experience ensures your success as each class provides input for continual improvement of the program. Our return students preparing for the next level of certification highlight the proven value of these courses! These classes are provided in partnership with SolDelMar. 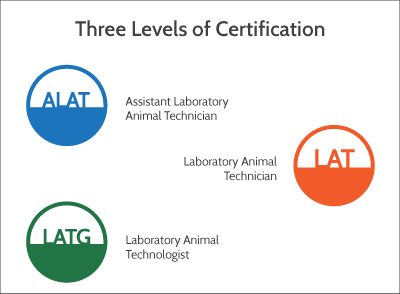 These interactive, webinars will provide the resources, instruction and guidance necessary to help you successfully sit for the AALAS certification exam. The ALAT course is 12 weeks, LAT course is 10 weeks, and the LATG course is 14 weeks. Classes meet weekly and include lectures, handouts, supportive resource reading, practice quizzes and exams. All sessions are recorded and made available to class participants. Resources needed for successful participation: Current AALAS Training Manual and workbook, AALAS recommended study resources, time to do the weekly assignments, and a commitment to participate and succeed! Registration is quick and easy using our safe and secure Paypal enrollment where you have the option to pay with a credit card or use an existing Paypal account. Pay for one or more people using the drop-down menu options for the course(s). Each time you make a selection, add it to your cart. You can add as many items to your cart as you need, and then pay once for all courses. Once you’ve completed payment, you’ll be directed to the registration page to enter contact information for each individual to be enrolled in the course(s). This will generate your individual webinar link and login information, confirming your enrollment and allowing you access to the course. If you have any trouble enrolling, please contact Laura for assistance.